BIODYNAMIC, SUSTAINABLE, LOCALLY GROWN. 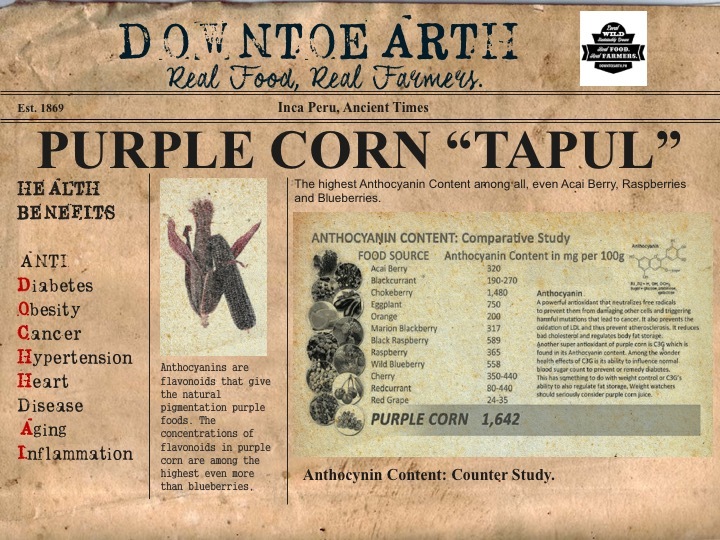 Purple Corn "Tapul" an heirloom variety of corn, open-pollinated, originally from Tapul, Cebu. We grow these heirloom corn varieties from seed (non-GMO and non-hybrid) using sustainable agriculture practices. Rich in anthocyanin count and the phytonutrients. Use it for tea or juice, or as a side dish for any of your meals. As juice, it is succulent, rich, and fruity. Price quoted is per piece. Click the button below to add the Purple Corn to your wish list.